This lightweight and bombproof adjustable shovel from Lifeline breaks to down to easily fit into your pack for forays into the backcountry where avalanche danger looms. Remember to always bring a buddy with their own beacon, shovel and skills. Practice before heading out! It's also the ideal accessory for your car, truck, SUV, recreational vehicle, or snowmobile. 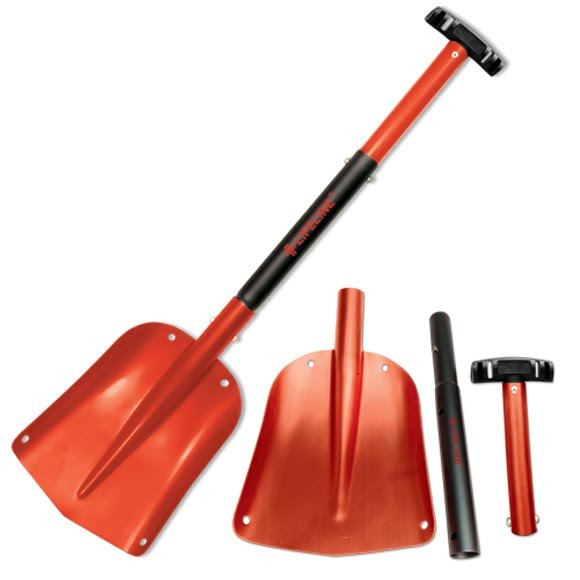 This lightweight and bombproof adjustable shovel from Lifeline breaks to down to easily fit into your pack for forays into the backcountry where avalanche danger looms. Remember to always bring a buddy with their own beacon, shovel and skills. Practice before heading out! It&apos;s also the ideal accessory for your car, truck, SUV, recreational vehicle, or snowmobile. Essential gear for any outdoor enthusiast. Measurements Adjustable from 25" - 32"